I feel that I have to do something for Anadolu Efes! 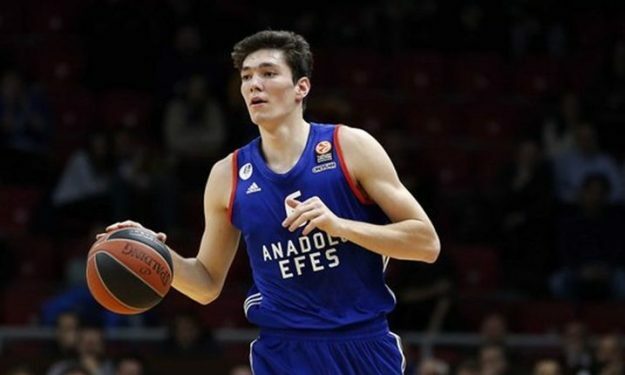 Cedi Osman returns to his official blog on Eurohoops.net and talks about the EuroLeague Playoffs Vs Olympiacos, the dreams and goals of Efes, his… obligation towards the team to which he belongs since he was a little kid, and the NBA! As he has made clear, in the summer he has decided to make the big step and move to the USA to join the NBA champions, the Cleveland Cavaliers! He’s happy about the accomplishments of the other Europeans and until he embarks on his own adventure there, he’s thinking only of Efes and how, together with his teammates, he’ll achieve something great for the club! We’ve built up an excellent streak in the last few weeks and we’ve won a lot of games. We’ve created a very good atmosphere between us and we’re playing quality basketball. Early in the season, with a new coach and several new teammates, we needed time and we lacked consistency. Now, we’re a real team! Everyone knows their role, what they have to do and what they can do. We’ve found a good form and we want to continue at this rate. We’re capable of many things, but I don’t want to say too much, like last season. I had said that we want to reach the Final Four but we didn’t make it. We put pressure on ourselves and now we know that the best thing to do is take it step by step. The 8 teams that qualified are the best in Europe. We don’t want to be favorites. We want to have our feet firmly on the ground and see how far we can go. We have 12 players each of whom can contribute something important to the team and our aura is very good, on and off the court. These are going to be very tough games for us, especially the first two in Athens. We know that Olympiacos are a great team and they have great players. They’ve had great successes in recent years, they’ve created a great tradition. In order for us to knock out a team like that without a home court advantage is going to take a huge effort. We’ll do our best to win one game there and then in Istanbul we’ll do our best but we’re going to take it one game at a time. When I came to Turkey 12 years ago, the organization gave my family and me everything and we are grateful for that. I feel that I have to do something for this team! It’s like my second home. Before I leave for the NBA, I want us to achieve something good. I believe we can do it. It’ll be awesome if we manage to reach the Final Four! Because there, it’s one game, anything can happen. You remember what happened with Maccabi in 2014 or with Olympiacos in 2012. 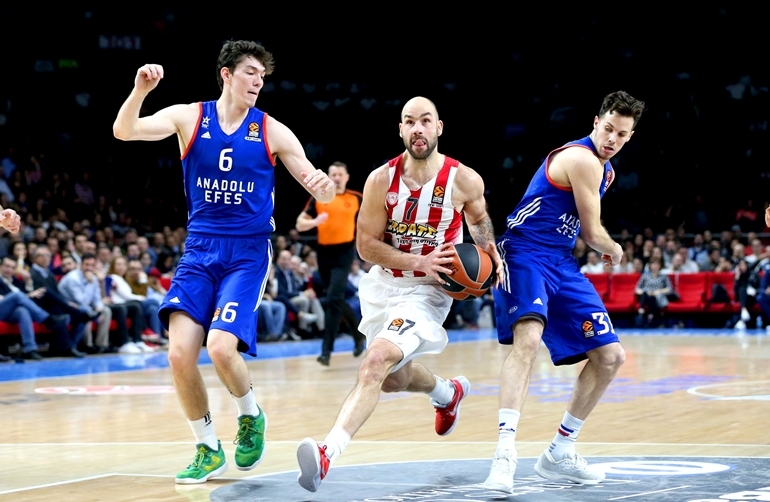 Saric, the Europeans, and his own turn! I’ve said again that, it’s very likely that next season is going to be my first in the NBA. I’m happy to see young Europeans achieve so much in the NBA. Jokic is having an amazing season, my friend and former teammate Saric has improved tremendously, you can see the stats and his impact on the Sixers’ game, and I think he’s going to be the NBA’s Rookie of the Year! Okay, I’m not going to talk about Antetokounmpo because he’s already at the top. The fact that the Europeans are playing so well in the NBA and, in fact, from early on, gives me extra motivation and more reasons to go there! I know, however, that I have to work really hard in order to get established in the NBA. The predictions for the NBA! San Antonio is playing very good basketball; I like them as a team. Every year the Spurs play excellent basketball and are a force to be reckoned with in the title race. Of course, I think the Golden State Warriors in the West and the Cavaliers in the East are going to be in the finals of their conference. It’s very likely that we’re going to see a Golden State – Cleveland final for the third consecutive season! Durant makes the Warriors better, but Cleveland are going to win the championship again. That’s what I believe and that’s what my heart wants! Watch Cedi Osman describe himself as a player!